Chapman Falls is almost as well known for a fascinating legend involving Satan as it is as a popular state park day-trip destination. Posted on a billboard at the site is a Puritan belief that Satan once walked along the Eightmile River and became infuriated as his tail became wet. 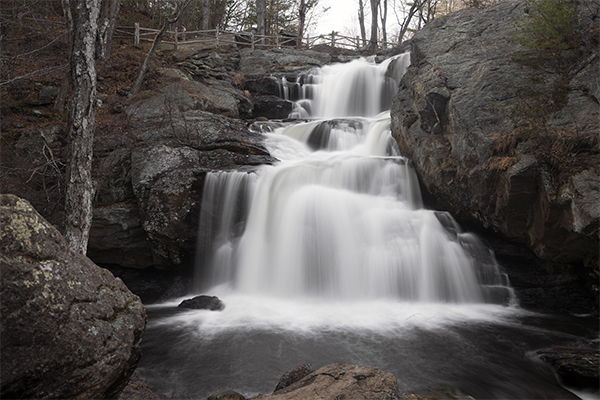 To express his anger, he scampered up to the falls and stomped his hooves on each section of the falls, leaving scars in the boulders of the natural feature over which the falls descend. 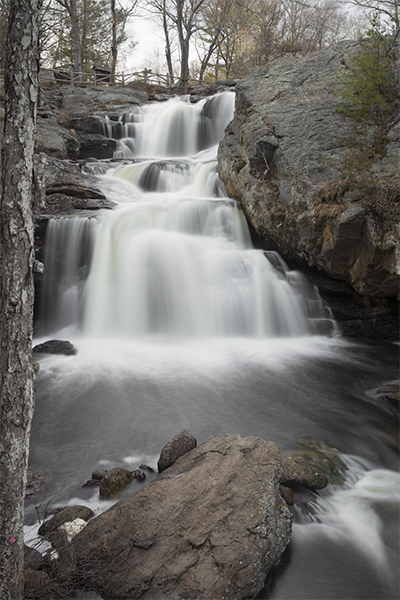 This is where Chapman Falls derives its alternative name, Devil's Hopyard. 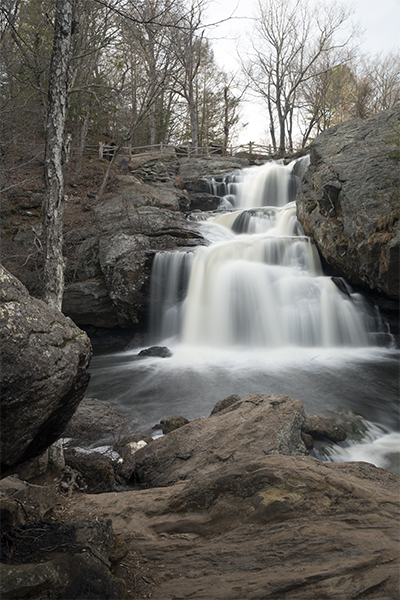 In addition to the interesting legend, the falls is quite scenic. 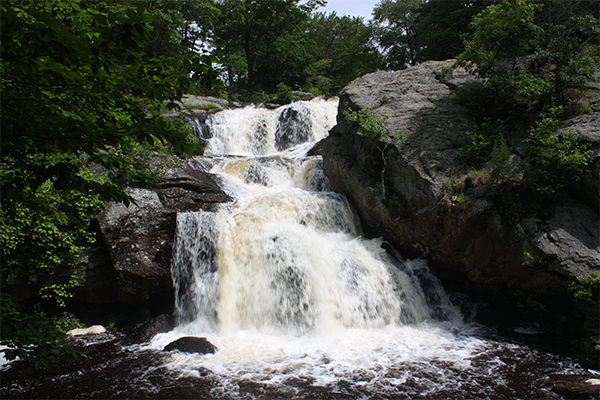 The Eight Mile River drops about 60 feet in three bold drops. 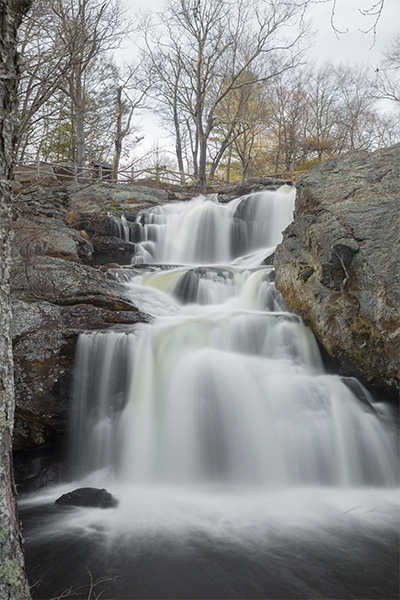 The waterfall is one of the most powerful in the state and is usually very crowded. 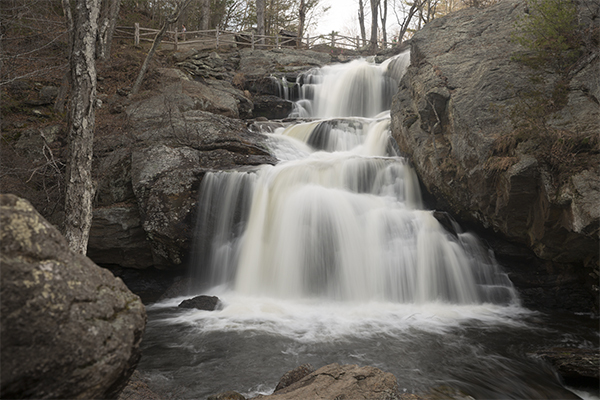 This state park also beckons for a picnic, so be sure to spend a few hours exploring the entire area. 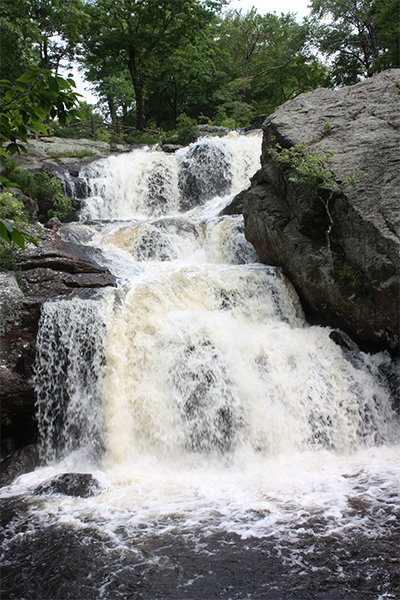 During extremely dry weather, the falls may lose its block formation and become weak-flowing horsetails. This should not ruin any plans for visiting, as the entire area is scenic regardless of the power of the river. Bring along your fishing rods as trout fishing is a fruitful endeavor. 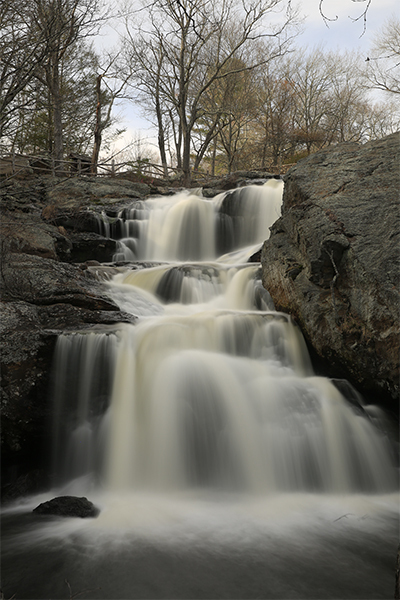 The state park offers many additional miles of hiking, including past some small but seasonal waterfalls on Muddy Brook.